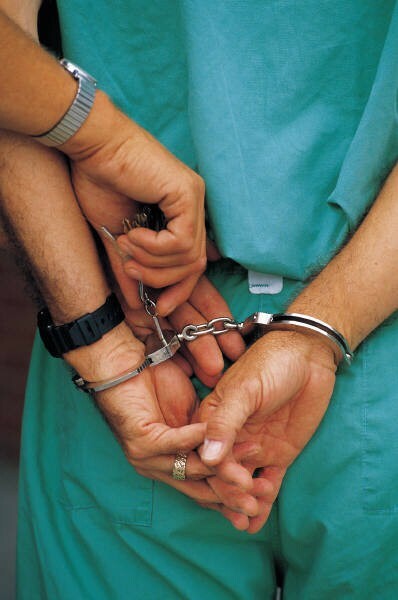 Home » Healthcare Laws » What if I have a criminal background? I am often asked, “What if I have a criminal background? 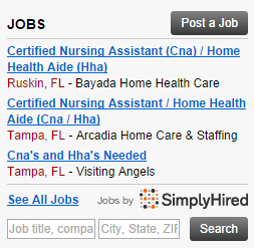 Can I still be a CNA?” The answer is…it depends. When you register for the CNA exam, you will have to have a Level 2 background screening done. This will display any arrests and/or convictions at both the state and national level. Level 2 generally refers to a state and national fingerprint based check and consideration of disqualifying offenses, and applies to those employees designated by law as holding positions of responsibility or trust. Section 435.04, F.S., mandates Level 2 security background investigations be conducted on employees, defined as individuals required by law to be fingerprinted pursuant to Chapter 435, F.S. These background checks will search state and national (FBI) databases for any arrests and/or convictions as well as active warrants and injunctions for protection. This extensive check will involve the submission of fingerprints as well as verification of identity. So, what if you have a criminal history? The state of Florida has an obligation to protect its citizens and mandates background screenings for all healthcare professionals to ensure that employees do not have a violent history or a history of theft, extortion or fraud. Because healthcare professionals often care for physically or mentally ill patients in a variety of settings, including providing unsupervised care in the patient’s homes or a congregate living facility, every effort must be made to ensure good moral character to protect the physical, emotional and financial interests of those patients. Don’t take it personally if you are disqualified…remember, it is all about the patient’s safety, not you. So, what if you must appear before the board? What does that mean? It means that the Board of Nursing wants to get to know you, find out your side of the story, determine if you are a threat to the patients they are sworn to protect and decide if you have the potential to disgrace the profession. This is a good thing. The Board is made up of Nursing professionals who will review the facts and listen to your side and make a decision. It is not an automatic “no”. But remember, they will vote based on the best interests of the public, not you. How does the process work? You must apply to take the test before any decision can be made. Yes, you will have to pay the application fee before you find out whether you are even able to take the test. It is a financial gamble if you have a felony. The state is not going to absorb the cost of reviewing the records and making a decision for free. It is YOUR background in question, and therefore you will bear the cost of the decision. Once you register, you will receive information on how to submit your fingerprints for the background screening. If you pass, you will receive a test date in 2 – 3 weeks (on average). If you don’t pass, you will receive a letter asking for more information and records. This page was compiled using the most current background information and regulations as of February, 2013. This should be construed as an information only presentation and by no means do we guarantee that you will be permitted to test or receive your certification with any background infractions. By stating that you may be cleared to test, we are stating that the Board has the ultimate authority and will make the decision, but that the Board may opt to clear you without further action. I hope this helps clear up the mystery around the criminal history process for the state exam and certification process. Any further questions should be directed to the State Board of Nursing.